Going 7 weeks strong!! 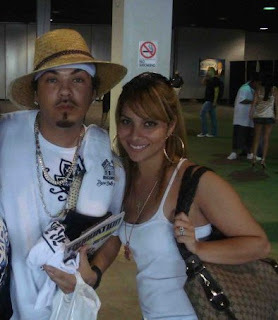 On our latest Sweet Spot Show Roxxi and I interviewed Baby Bash and Steph Jones and what a show it was! Bash was hilarious and Steph was the same... I think this show was one of our best simply because we were really comfortable asking the guests questions and not really holding our tongue on the topics that were asked and it was laughing and more laughing the whole show! Thanks Steph and Bash for calling into the show... Stay Tuned next week as we have super hip hop duo producers Beanz & Kornbread who have production on the latest Paul Wall project as well as Dallas Blocker's "Rock yo Body"